Welcome to this webpage about old video game controllers like joysticks, trackballs and paddles. 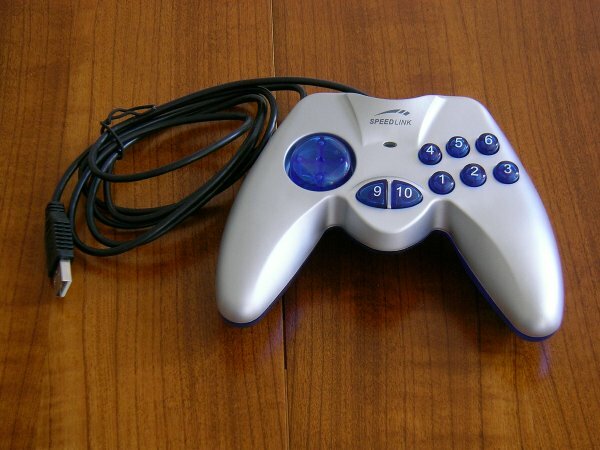 On this page, you will find a brief overview of the types of game controllers that were used in the 1970s, 1980s and 1990s, and instructions on how to use them on modern personal computers. Please note that you do not have to use old controllers for playing old games. There are several reasonable alternatives both for controllers and games if you want to get the retro-feeling more easily. However, some people prefer the original controllers to get the exact physical feeling of old times. So, if you are not into authentic retro-gaming just hop to the section of alternatives on this page or find what you are looking for on another webpage. In the following sections, you will read about the types of controllers that were used in the old days and the types of connectors they had. Further, you are given some technical details you need to know if you want to connect such a device to a modern computer. Nowadays, video games are usually played with either a gamepad, motion controllers, a standard keyboard, or a computer mouse, whose installation is easy on today's computers. Old games, on the other hand, were most of the time played with a joystick. A few systems used even more exotic equipment like Trackballs, Paddles or Light Guns. These devices are usually not compatible by default with current computers and require the rigging explained on this page to have them work properly. Joysticks were undoubtedly the most common game controllers used in the early days of video gaming. There were two types available: analogue and digital sticks. The digital type is often referred to as an 8-way-joystick. Analogue controllers were the less common, and predominantly used in arcade machines or with personal computers. Video game consoles and home computers preferred the digital layout. Note that there is a possible ambiguity about the term 'digital joystick': Some people refer to modern joysticks that contain a microcontroller as digital joysticks. 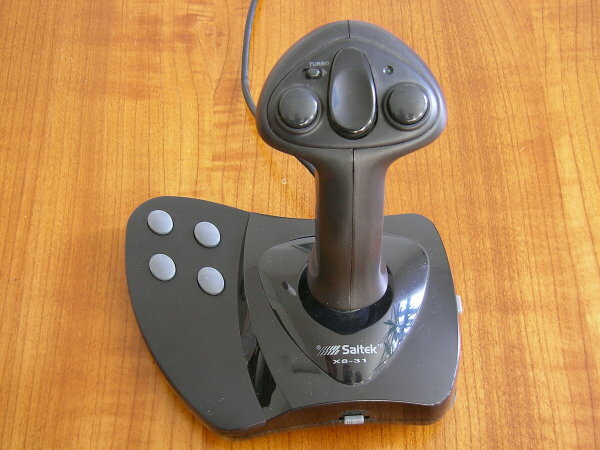 More commonly -and on this webpage-, the term refers to old-fashioned 8-way-joysticks. 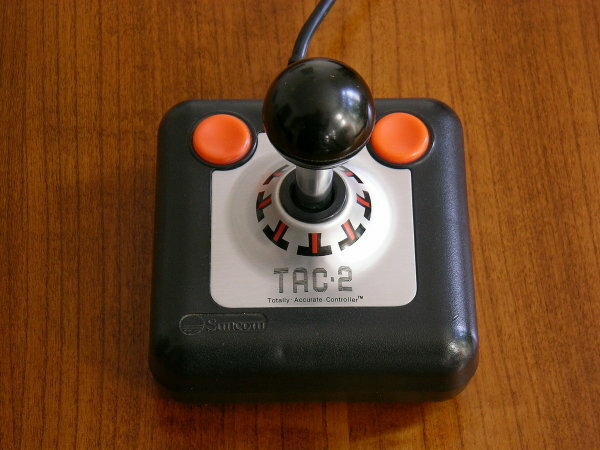 Suncom TAC-2 Digital joysticks are technically very simple. They need a basic switching circuit: the stick and six signaling wires, one for each direction "up", "down", "left" and "right", another one for the fire button and a sixth wire providing the voltage. In order to send a steering signal, the equipment only has to switch the corresponding wire(s) to the voltage. Old digital joysticks can fairly easily be made to run with modern PCs. Once connected, most software will immediately recognize them as a game controller. Though, depending on the available jacks on your computer, you will most probably need one of the adaptors mentioned below. Analogue joysticks have a more complex design. They need potentiometers and are thus more difficult to calibrate and more expensive to build. For this reason, they were less popular and few old video games require their features. Analogue sticks, in particular those with a gameport-connector, can easily be made to work on a modern computer. However, most old games are designed for digital joysticks and actually not very much fun to play with analogue controllers. Atari CX-22 Trak-Ball Some arcade machines like Centipede, Crystal Castles or Missle Command used Trackballs for controlling your guy. 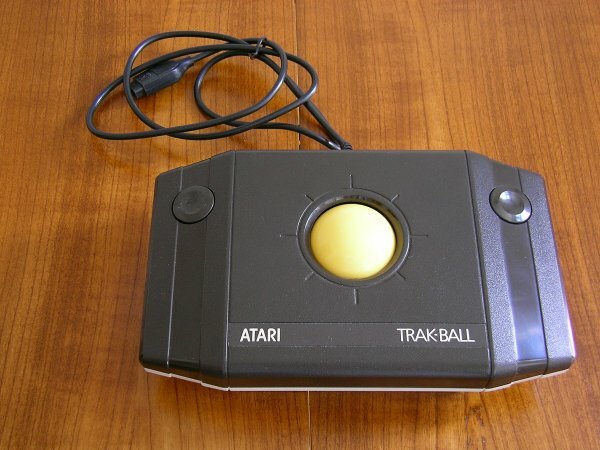 A few companies (like Atari) have sold trackballs for home systems. Trackballs are basically (non-optical) computer mice put upside down. Surprisingly, the old trackballs are mostly compatible with 8-way-joysticks as they send the same signals but with periodical interruptions depending on the speed you roll the ball. Unfortunately, these frequent interruptions are not always accurately processed by modern computers or active adaptors, thus making a successful installation a bit of a gamble. Usually, you get the best result if you connect them through a gameport adaptor to a gameport of an on-board sound card. Commodore VIC-1312 Very early arcade machines like Pong or Night Driver and a few early video games used paddles as controllers. A paddle controller consists of one potentiometer and a fire button. Technically, a paddle can roughly be regarded as half of an analogue joystick. This allows for the attachment of two paddles to one joystick port, giving you the possibility to use 4 paddles on most old consoles (or even 8 with an Atari 800). Paddles are particularly hard to get to work on modern machines because adaptors for old digital joysticks usually leave the analogue pin unattached or interpret the analogue signals as digital ones, hence scrambling the paddle's steering commands. Unfortunately, there are no paddles available that hook directly to a gameport. So, common adaptors won't work and you would end up having to build your own adaptor. But then, you still need a software driver that can handle two paddles. A sleazy workaround is using a driver for an analogue joystick. Considering that paddle games can easily and more precisely be played with modern computer mice, I have refrained from using my vintage paddles on my PC. 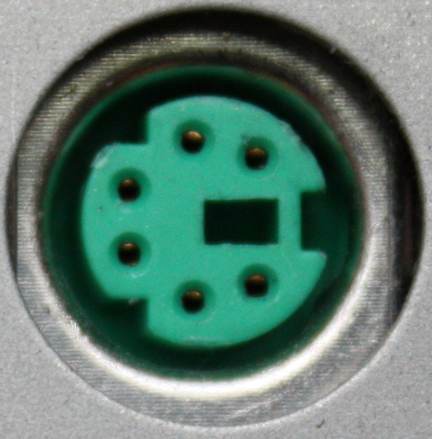 This was the standard port for game devices on personal computers from the 1980s to around 2000. It is also used as MIDI-Port and therefore regularly attached to the sound card. A few vintage controllers with a native connector of this type exist, but most such equipment was built only after the early days of video games. The port is made for analogue game controllers, so digital sticks attached to it have to translate their signals into analogue ones. For attaching retro-devices, this port is good, given you have an appropriate adaptor. You can still buy sound cards that have this jack. 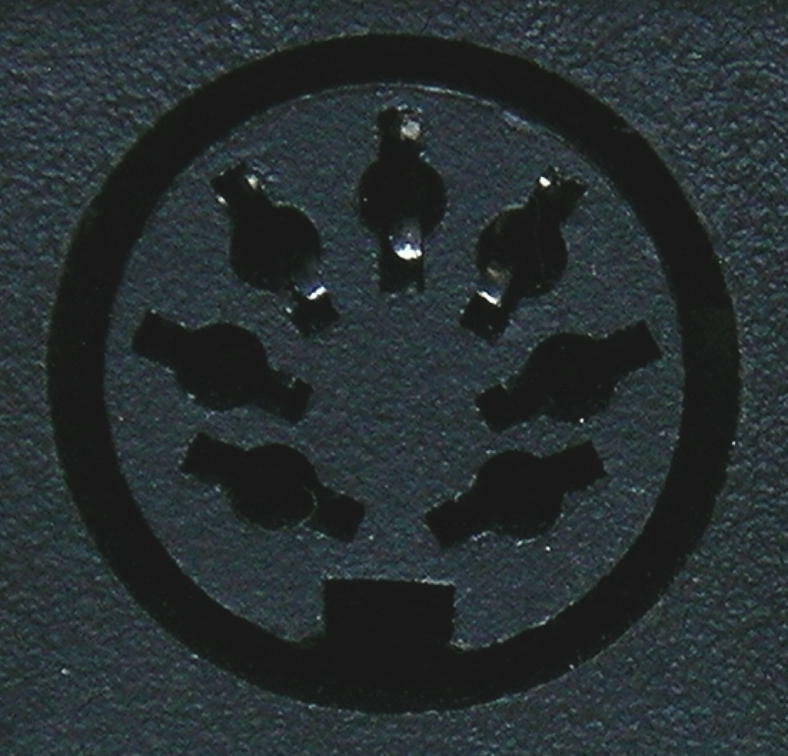 This port was introduced in the 1970s for attaching printers. It is still built into some computers for compatibility reasons. It has never primarily been used for attaching game controllers, but since the 1980s some systems (like the Amiga) used it with an adaptor for attaching an additional pair of joysticks. 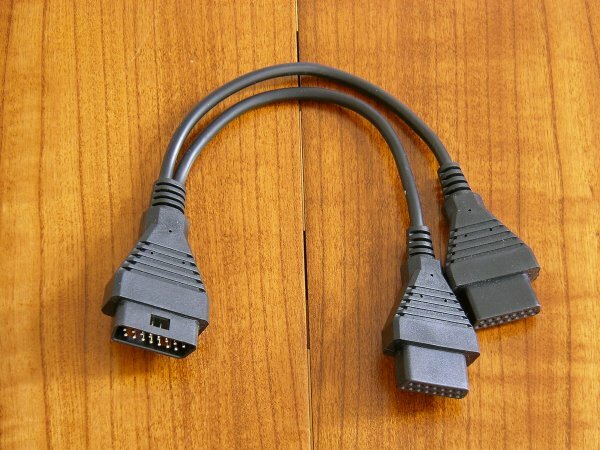 These adaptors are still produced and available and can be used on modern computers with an appropriate driver for connecting Atari-style controllers. This is another convenient way to connect old devices to your new machine. 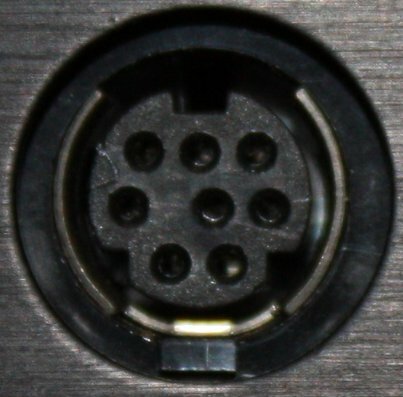 This port is rarely used with game controllers except for mice and keyboards. Some new retro-style devices, such as the X-Arcade, use it to provide a maximum of compatibility on different operating systems (e.g. Linux, Windows). This is the port of choice for all modern game controllers. It is available on all new computers and some video game consoles. 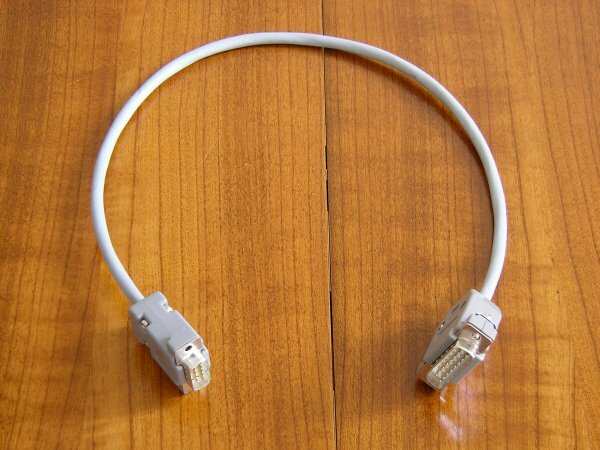 There are adaptors available for connecting game-port equipment to it. The problematic part of using this port with old-style game controllers is that USB hardware requires a microcontroller. For old game devices, this has to be provided by an active adaptor. The microcontrollers integrated in active adaptors are not always fit for use with some old devices. 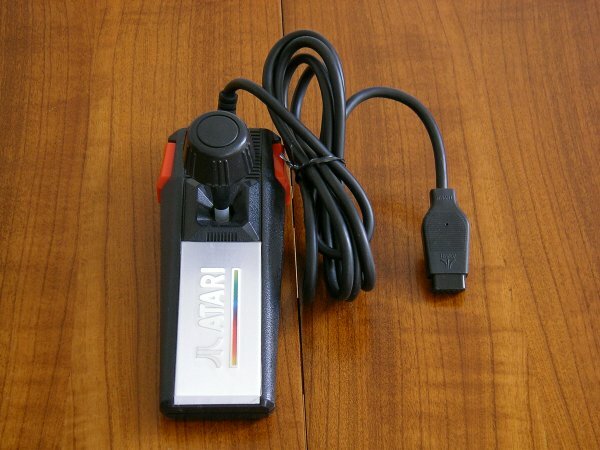 Direct Atari-USB-adaptors are hard to find; there are a few construction manuals on the web. You can, however, connect two of the commonly available adaptors in series to achieve the same effect. 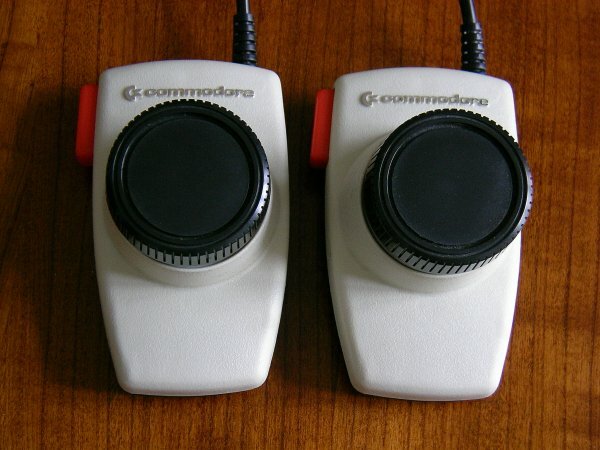 Some old video game consoles or home computers used unusual ports for their joysticks (like the Commodore C16/116). Others had hard-wired game controllers (like the early Intellivision or the Arcadia 2001). In order to use their controllers on modern computers, you will usually have to cut or solder out the joystick cord and attach an adequate plug (or -in the case of an unusual plug- design a particular adaptor yourself). Typically (when the joystick is digital), the Atari plug is the best to attach because its pins are compatible with the signaling wires of most joysticks. That way, you can afterwards use one of the commonly available adaptors to translate the signals for your computer. In very few cases, you might find an old third-party adaptor leading to an Atari plug that can save you the handcraft. There are little hardware requirements of your computer for a successful connection of old equipment. These days, all personal computers have a USB-port. Further, old-fashioned games rarely need much processing power or a fancy graphical card. So, in most cases, you can just use the cheapest computer available. However, there are a few devices that work better on a native gameport instead of a USB-port. 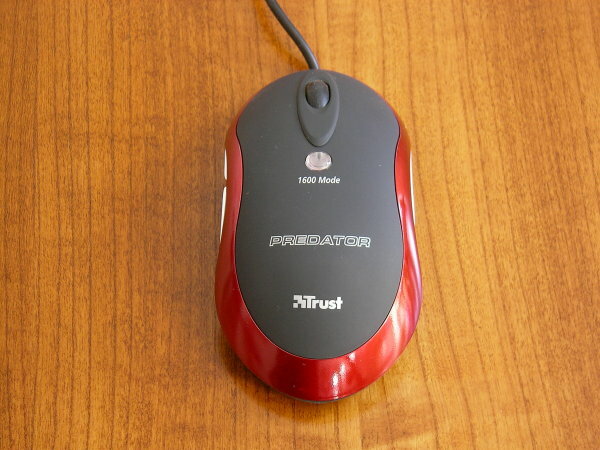 First, when connecting an old-style trackball through an active USB-adaptor, the integrated microcontroller often has a too low sample rate for processing the frequency of the signals. Second, some USB-controllers have a micro-delay in passing signals, making them inconvenient to use with games that require very fast reactions (e.g. Archon among human players). Thus, it can help to have a native gameport on your computer. 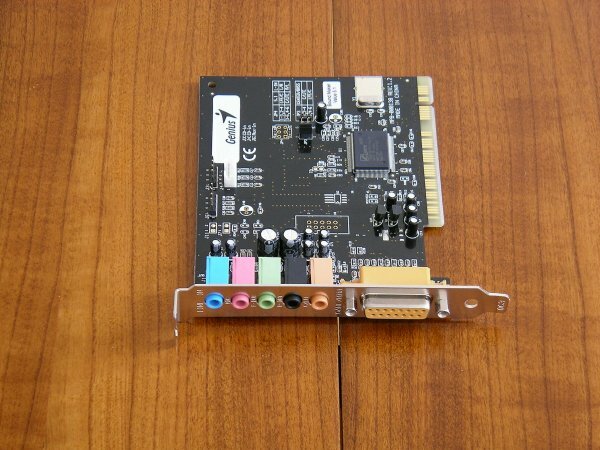 A cheap Sound-Card providing a gameport jack is a good way to evade the possible drawbacks of an active USB-adaptor. Unfortunately, some new mother-board's south bridges no longer pass the signals of the gameport to the bus. This means that the gameport may not work even when the sound-card is perfectly installed. Additionally, all Windows versions beyond XP no longer have a built-in software driver for gameports. For the 32-bit version of Vista, there is a home-brew driver mentioned by Creative labs available on the web (search for the "Gameport support pack for Vista"). On Linux, you do not have this problem, yet. A Joystick-to-Gameport-Adaptor is a passive adaptor that can connect an Atari-style joystick to a gameport jack. Since the gameport expects analogue signals, the adaptor has a simple circuit of diodes and resistors integrated to adapt the signals. You can find a construction manual on pinouts.ru or epanorama.net if you do not find a dealer. 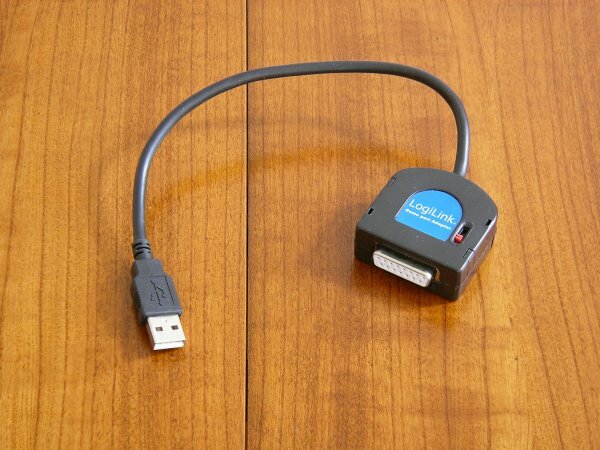 A Gameport-to-USB-Adaptor is an active adaptor that allows for a connection of a gameport device to a USB-jack. This adaptor contains a microcontroller providing the necessary logic for establishing the communication. There are several adaptors with varying quality of the microcontrollers available: some pass the signals very quickly, others produce a lag. 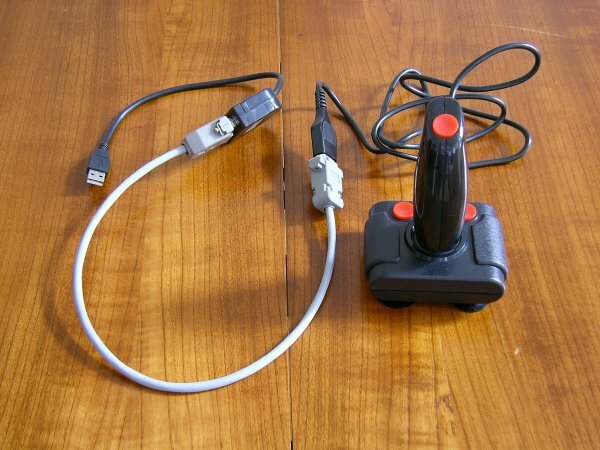 A Joystick-to-USB-Adaptor is an active adaptor that allows for a direct connection of an Atari-style Joystick to a USB-jack. This device contains a microcontroller. Only few ready-to-use adaptors of this kind are up for sale. You do find some construction manuals on the web, though. A four-player adaptor is a very simple passive adaptor directly connecting wires of the joystick-port to the parallel-port. There is no logic in this equipment. You need a software driver to sucessfully use game-controllers through this device. 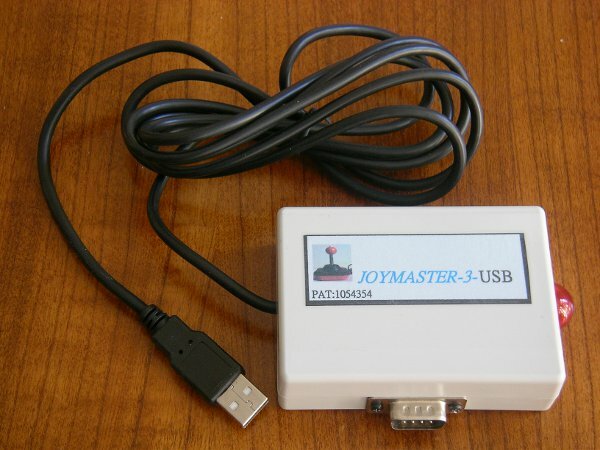 The PPJoy driver is a convenient solution for Windows platforms. Regrettably, this driver is only available for Windows 98, Me, 2000 and XP. Getting Linux to accept the adaptor is rather cumbersome as you need to recompile the kernel. You will find some instructions on MJM wired. A two-player adaptor is a very simple passive adaptor allowing for a physical connection of two gameport devices to a single jack. Most software drivers for gameports can handle two sticks attached to one port. This device is needed if you want to play head-to-head with gameport devices only. 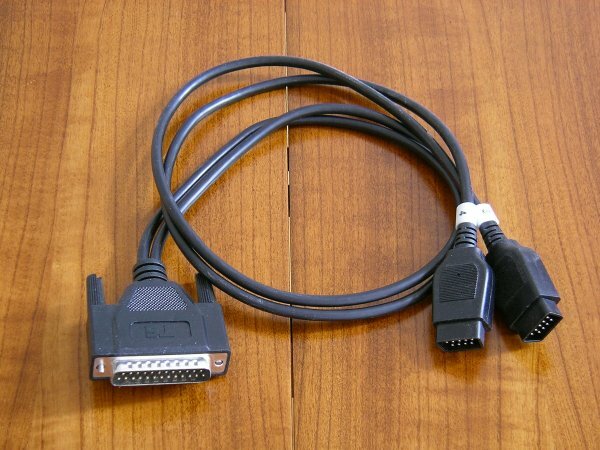 Depending on the game controller and the game you want to play, it is sometimes best to connect several adaptors in series. On your right, you see a standard old-fashioned joystick connected through a joystick-gameport- and a gameport-USB-adaptor. This connection turned out to be the most responsive for that particular joystick. For the sake of completeness, I would like to mention that there exist PCI-cards providing joystick ports. These cards were produced in little numbers and are quite hard to come by. Reportedly, most of them experience compatibility problems with recent motherboards and/or operating systems. So, they seem to be only an option for converting an older computer into a dedicated retro machine. If you cannot find any of the above adaptors for your digital joystick you might try attaching a D-Sub DE9 Joystick Port to a standard keyboard. Instructions for this handicraft work can be found at Folke Rinneberg's site. It works with most known emulators and does not need any software driver. After physically connecting your old equipment to your new machine you will also need some software drivers to have your operarting system accept the old devices as game controllers. Fortunately, most of the drivers are already built into current operating systems (e.g. Windows and Linux). In most cases, you will only need to calibrate your device if anything. Only if you use the parallel port do you need to install a system driver. The next step is converting your computer into an arcade machine, video game console, or home-computer of your choice. The type of software needed for this purpose is called an "emulator". Emulators allow you to run original old games on your system. There are numerous emulators for all types of old hardware available, and even better, you find them for free on the web as they are usually open-source or freeware. Within each emulator, you will have to adjust preferences to assign the game controller as a valid input device. This is usually very easy, but you must not forget about it. Beside the emulators you will also need the actual games, preferably as binary images. Transforming old cartridges, tapes or floppy disks into binary images requires a lot of technical skill, much more than connecting old joysticks to new machines. So, a thorough search on the web for the binary image you want can save you a lot of frustration. Anyway, it is advisable to know about the legal issues when using such downloaded images. If you own the original games, you are usually on the safe path. Most emulators and hardware drivers for vintage game controllers are available for windows platforms. In most cases, they run directly off-the-shelf. Some known issues are using native gameports or the four-player-adaptor with Windows Vista or Windows 7 and a few minor display problems with newer versions of Direct X or graphical drivers. So, if you want to setup a dedicated retro-machine, you might want to consider installing an older version of Windows. As most emulators are open-source it is also possible to run them on an operating system that is open-source. However, you might have a few more difficulties getting your vintage controllers to work properly; you do not find easy-to-install drivers for some equipment (e.g. for the four-player-adaptor) and some equipment is inconvenient to setup since joystick calibration can be a little annoying under Linux. On the other hand, you can use native gameports and -if compiled correctly- the four-player-adaptor even with newest OS releases on 64-bit machines, and SDL keeps most graphical driver problems away from you. A very simple 8-way Gamepad with a USB-plug is a reasonable way to play old games (and it can also be used to play recent games). They are available for less than 8 € (~10 US$) and they work fine with most of the old games. Only games requiring a very precise control of your guy (like Pac-Man) are sometimes a little frustrating to play with this equipment. A refurbished version of the Atari CX-40 joystick can be ordered for ~12 € (15 US$) at Legacyengineer.com. 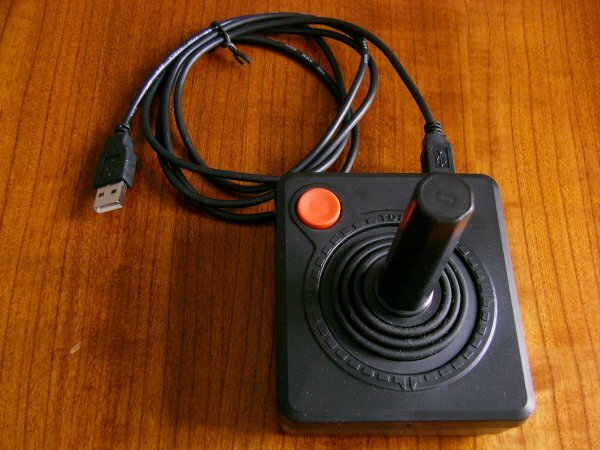 This stick is actually better than the original Atari as it contains more durable switches and, of course, a USB-connector. The USB-micro-controller is very responsive, so you can even play Atari Decathlon with it. Note that this stick is generally only good for playing retro games. 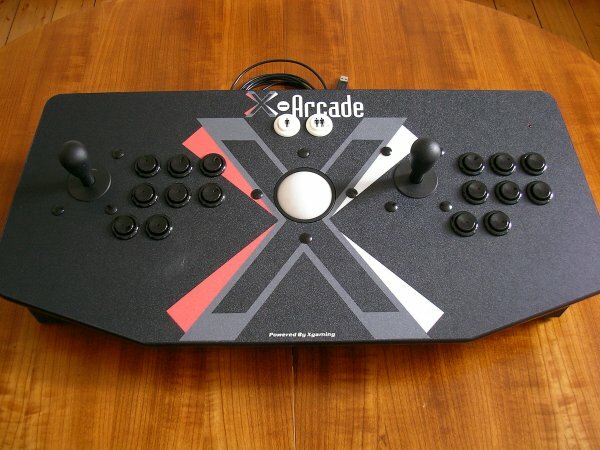 The X-Arcade is the ultimate stick for arcade fans. 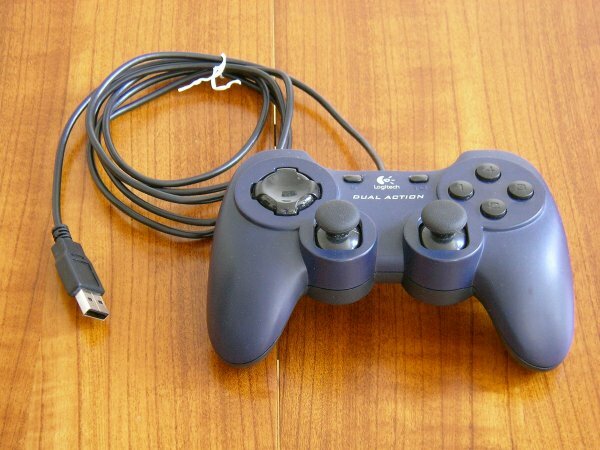 It has a USB and a PS/2-plug and many adaptors making it compatible with almost any computer or video game system out there. Since it can flexibly map steering-signals to alphanumerical keys it is also usable with emulators not natively supporting joysticks. Further, you get a Trackball without installation hazards, and side buttons that create true flipper feeling. The only backdraws are the price and the storage room required. Is there any single 'best' solution for attaching old devices? Not really. A responsive Joystick-to-USB-adaptor is the best regarding functionality and installation. Taking cost into account, the Joystick-to-Gameport adaptor is a better option and it works fine with most devices, but you need a gameport on your computer. The four-player-adaptor is also very good, but you need a parallel port on your computer and it does not run well with newer versions of Windows. If you have USB-jacks only you need an active adaptor. So, you have to see what you have got and what you need. Can I connect my joystick via parallel port even under Windows 7? You can, and it works ...somehow. On my system, the PPjoy driver exhibits problems with the fire buttons. So, Pac-Man is no problem - Space Invaders is. How do I know which USB-adaptor does not generate a delay for steering commands? Hard to tell in advance. Most USB-adaptors are rather inexpensive. I have bought several designs and tested them. The bad ones I just gave away. If you do not want to take any chances and the price does not matter get a Joymaster. Where can I get the adaptors? There are a few specialised shops on the web (e.g. Vesalia for the Four-player-adaptor or Spacetaxi64 for a Joystick-to-USB-adaptor). Ebay and Amazon are also good places to find adaptors. Just make sure you use good search terms: something like "Atari joystick interface" or "USB joystick adaptor" or similar. What is the motivation for taking on the hassle of attaching old joysticks and installing emulators on new computers as opposed to using the original consoles that work with the sticks and the games right away? My personal killer reason is the jitter and distortion of the old consoles' analogue RF connections to your TV set. After eight hours of continuous play your eyes feel like popping! New computers provide a crisp and clear picture on flicker free flat screens and do not produce interference on the video and sound channel (letting you play at least eight and a half hours without your eyes popping). Besides, you can use convenient tools for digitally taking screenshots. And last but not least, you can install many emulators on just one PC instead of inundating your room with loads of old hardware.